This is something brand new to me, and yet so familiar. 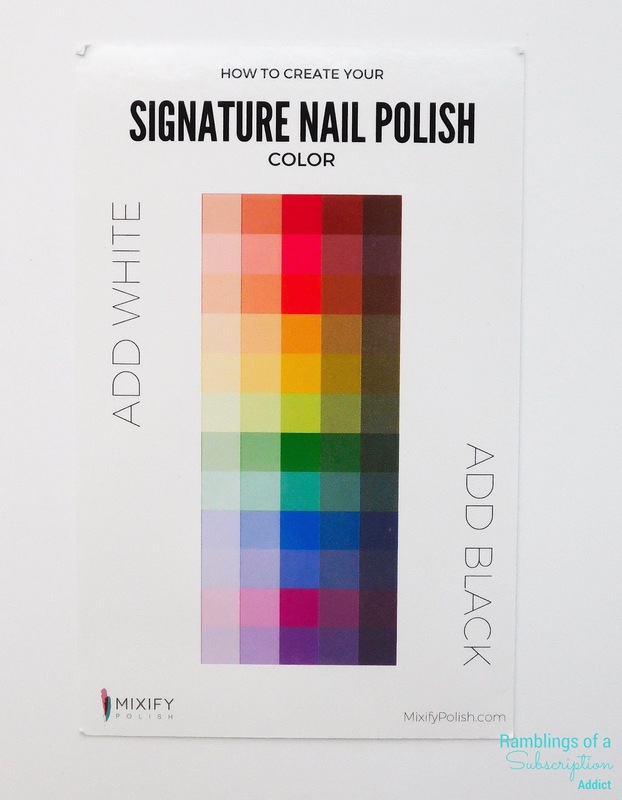 This is a do-it-yourself polish set from Mixify Polish! That's right, I tried my hand at making my own polish. This was so much fun to do, and you definitely missed out on the hilarity of my Snapchat story if you aren't following me! I did download it, so I'll upload it to Instagram if it's requested. 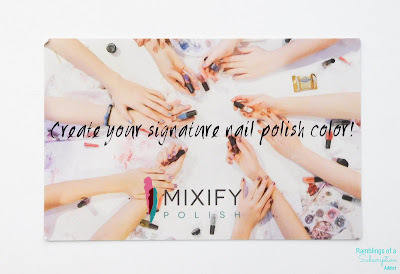 Info: Mixify Polish is a do-it-yourself polish creation set. 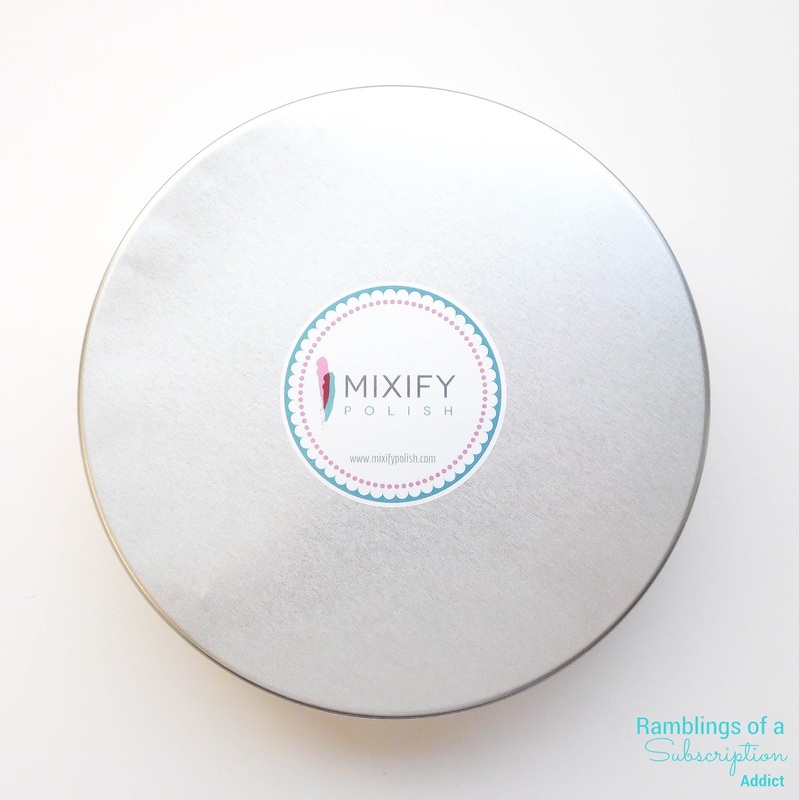 You can purchase sets where you choose a color family or purchase a limited edition set. You can decide if you want glossy or matte, and even decide how many bottles you want to be able to make! 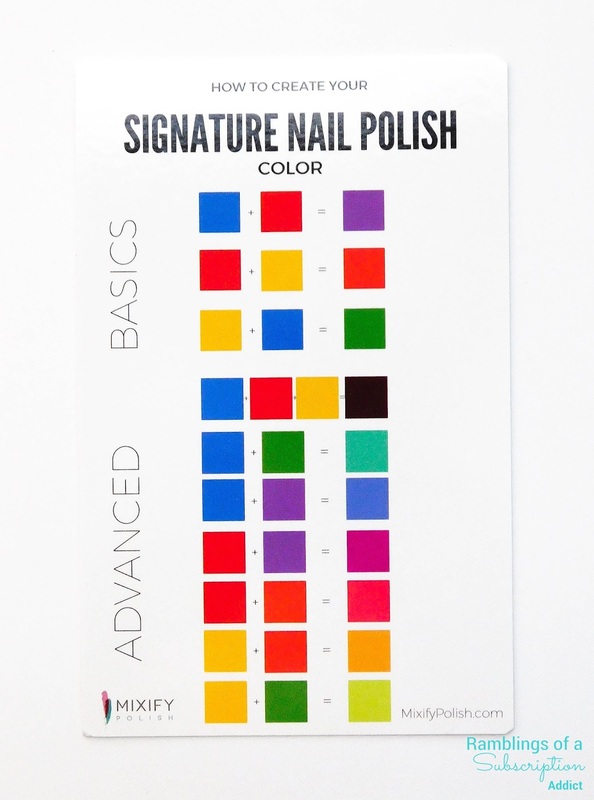 Prices start at $24.95 but the sky is the limit on what you can add on to make your perfect custom polish. My set is a press sample, so this is an example of what you could get! Mixify Polish is perfect for a child's birthday party, a bachelorette party, or just a night in to play with your friends! You can all create the same color or you can each make your own! 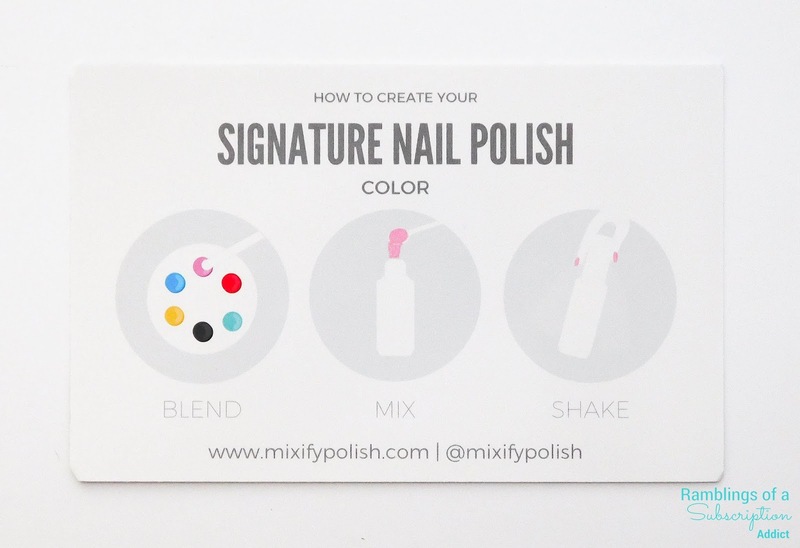 The two info cards show how to create basic polish colors from their pigments, how to create advanced colors from their pigments and their basic colors, and how to lighten and darken those colors to your desired shade! When you purchase a set, you receive bottles pre-filled with suspension base and mixing balls. 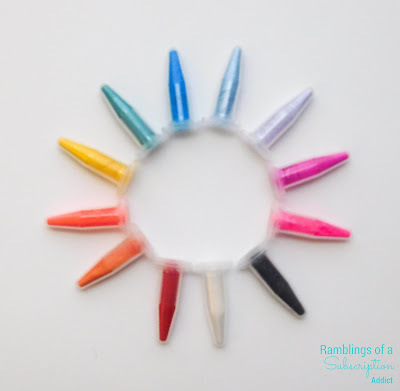 All you have to do is create your pigment and add it to the bottles! The bottles even have space to write your name on it so you can take your creation home! 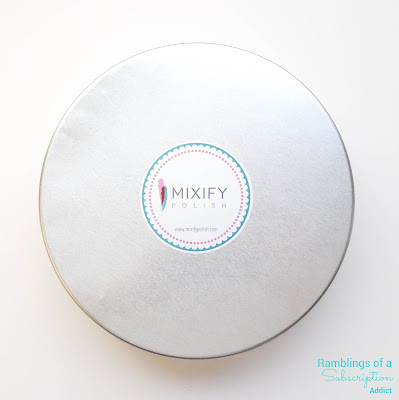 The pigments that I received. As you can see, I had a ton to work with. I also had no clue where to go with this, because I wanted to make them all into gorgeous polishes! 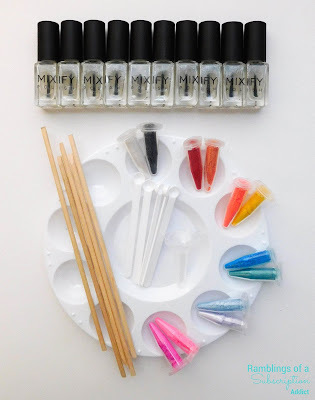 Each set also comes with mixing sticks, a funnel, a tray to mix on, and scoops to put your pigment creation into the polish bottles. 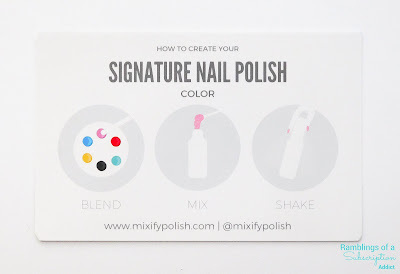 I love how the set came and I really like how you can choose a color family on what polish color you want to make when you buy, but also add more goodies on if you want to make different colors! Let me what colors you get and I'd love to see your creations!